If you haven’t heard from me in recent weeks it’s because I’m stupidly busy, and when I get extra busy I often end up in a strange ‘reality distortion field’ where the busier I get the more I suddenly decide to take on. Tuesday 8th May I’m presenting at a full-day workshop – “Power to the People” – there’s still places available if you book within the next few days. If you’re already going flick me an email and let me know in advance anything you’d like to see covered. 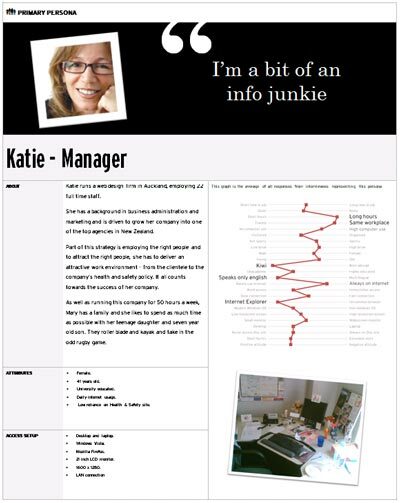 I’ll be describing Provoke’s comprehensive persona-creation process in some detail, including user-behaviour clustering and ‘POV Personas’ – my own technique for ensuring personas are proactively used throughout the design and development process. Last week we untethered one of our Design Graduates (Alastair Bruerton) and threw him in the deep-end. The result is this – Provoke’s first commercial Vista Gadget – created for Geekzone. I always wanted to have something like this, and it was made possible by the guys at Provoke. They came along for one of my weekly coffee meetings in town, we talked about the idea, what I wanted to give our users and we agreed on a quick project – less than a week to have it all done. 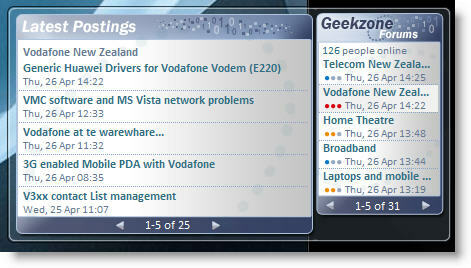 The Geekzone Gadget for Windows Vista Sidebar was developed in just a couple of days, from concept, design and testing through release. We already have some ideas for v2.0, including perhaps posting replies direclty from the gadget instead of having to load a webpage, user selection of which forums to monitor, and more. I recommend the guys at Provoke if you are looking to create something similar, or even start a bigger project. They work with design, business solutions and e-government applications. Meanwhile I’ve been interviewing potential people for an additional Interaction Design/Integrator role. It turns out that many good people out there are locked into Government-sector contracts… (which is kinda understandable for short-term gain). But if you’re wanting interesting work, a regular pay-packet, mentoring and to be part of a close-knit Interaction Design team – then Provoke could be a better long-term option for you. In the past week alone we’ve won three significant contracts, so we’ve got plenty to keep the right people motivated and busy! (see top left-hand panel on this site for my current ‘Hot Jobs’).